It’s Gala Time – Let’s Score Another Fundraising Touchdown! It’s our favorite time of year again – Gala time! Here at JAF, we’re busy getting ready for the Sixth Annual New England Celebrities Tackle Cancer Gala. Hard to believe it’s now less than a month away. 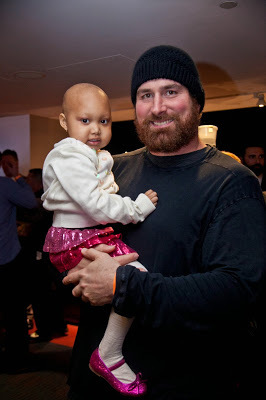 Since starting this annual tradition, JAF has been blessed to have been supported by many local Boston athletes and celebrities and we are looking forward to another star-studded crowd this year. Last year, we raised $500,000 for cancer patients and their families, and to fund pediatric brain cancer research. Obviously, we’re a highly competitive bunch – so of course we’re looking to break our record again this year! We’re really excited about how our gala roster is shaping up, as we welcome our supporters and friends, longtime and new. Everyone had such a good time at Gillette last year, which was the first time we held the Gala at my second home and favorite stadium. So this year, we’re happy to return to the Putnam Club, overlooking the field that holds so many great memories for me. It’s a real joy to bring my friends, family and supporters together in a place that means so much, personally. This is our Sixth Annual Gala, the first “big” event our Foundation undertook. 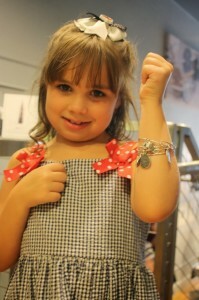 It’s become our signature fundraiser, growing bigger and more successful every year. The proceeds from this event support our initiatives all year long – from helping cancer patients pay household bills to supporting innovative research. This is also my sixth year living cancer-free. As you all know, I was diagnosed with non-Hodgkin’s Burkitt’s lymphoma in 2007, which ended my football career. But I survived – through the love of my family, excellent medical treatment and an upbeat attitude! As each year passes, I can’t help but reflect on how grateful I am for my health and ability to help others. Jen and I feel so lucky to have come out of my personal cancer battle with a new mission in life. And every year, we set our sights on helping more and more families. So far, we’ve accomplished that goal, and we have no doubt this year’s event will raise more than ever. The Gala will be held on Monday, December, 2, at Gillette, and we’ll kick-off at 6 p.m. with cocktails and hors d’ oeuvres, and give everyone a chance to buy footballs for our athletes to autograph. Then, we’ll sit down for a delicious three-course meal and speaking program featuring JAF’s patient families. They’ll give us all real insight into what it’s like to fight cancer and how our Foundation helps, financially and emotionally. Former Patriots player, 98.5 The Sports Hub Midday Host/Patriots Color Analyst, and JAF supporter Scott Zolak will once again lend his support as the evening’s emcee! We’ll also hold live and silent auctions during the event, giving our supporters the chance to bid on priceless sports memorabilia, the hottest Boston sports tickets and all kinds of deluxe packages: dining, spa, entertainment and travel. We are really excited to announce that star quarterback and long-time JAF supporter Tom Brady has donated a 2014 VIP Training Camp package to be auctioned off, which includes exclusive access to a Patriots practice, followed by a meet and greet and passing session with the three-time Super Bowl Champion. What an unbelievable, once in a lifetime opportunity. This year, we’re lucky to once again welcome many new and returning sponsors, who’ve played such a key role in taking our gala to a new level: VIP sponsor Credit Union Kids at Heart; Megastar sponsor Millennium:The Takeda Oncology Company and The Kraft Group; Star sponsors Bob’s Discount Furniture, The Home Depot, CVS Caremark, East Commerce Solutions Inc., J. Calanan Associates, Randstad, Cross Insurance and Davio’s, among many others. We hope you can all join us for our favorite night of the year! Individual gala tickets are available exclusively at joeandruzzifoundation.org. And if you’d like to sponsor our event, please check out our packages online, or contact us directly at 508-261-0630 or events@joeandruzzifoundation.org. We’ve been tackling cancer for six years now – but we couldn’t have done it without your support. 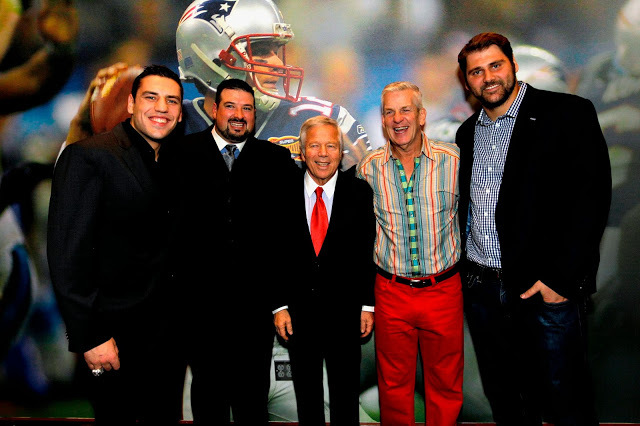 Come help us give it another kick at the New England Celebrities Tackle Cancer Gala! Together, we can continue to provide more cancer patients and their families with help, hope and a reason to smile, just when they need it most. CLICK HERE TO HELP US SPREAD THE WORD ON TWITTER!